Skin & You Clinic work on an appointment basis – We request you to book a slot for yourself before you visit us for a consultation. (+91) 9920033331 and we will revert within 24 hours. Show up on time @ Skin & You Clinic, Mumbai – At your first visit, you will need to fill up a clinic registration form about your personal information and clinical history. We suggest you arrive 10-15 minutes prior to your appointment. Get your every question answered – We would like you to maximise your visit at Skin & You Clinic, Mumbai, by asking us about every skin-related issue that bothers you. Avoid make-up when visiting Skin & You Clinic, Mumbai – For your appointment, it is best to come without any make-up as this will help the doctor assess your skin better. Make necessary clarifications – If you don’t understand or disagree with the doctor’s recommendation, please feel free to question and clarify. 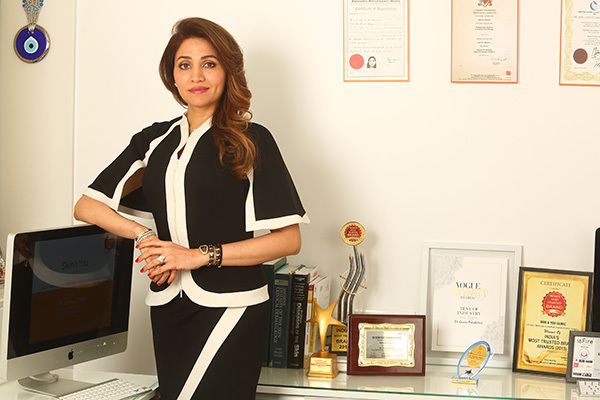 Let’s works in collaboration – To help Skin & You Clinic, Mumbai, show you better results, we recommend you keep all appointments suggested by the doctor. Skin & You Clinic, Mumbai, helps manage your prescription – To ensure satisfactory results, we advise you to regularly collect your prescription and follow the treatment as required by the doctors. Avail of the Pharmacy Support – For any refills on the creams, feel free to approach the clinic at any time with a call, SMS or e-mail. Let Skin & You Clinic, Mumbai, serve you well – The front staff at the clinic will help you with all your queries and guide you with your visit. Inform us of appointment changes – If you need to reschedule or postpone your appointment, do let our staff know at the earliest. Schedule an urgent appointment – Once you call Skin & You Clinic, Mumbai, we can schedule an appointment on the same day itself, just within a few hours.